As their 50th anniversary approaches, The Nighthawks step forward with two new members: Dan Hovey on guitar and Paul Pisciotta on bass. Dan delivers strong lead vocals along with his tasty guitar playing, and Paul brings the band’s already famous four-part harmonies to a new level. Drummer Mark Stutso’s singing and songwriting make him an audience favorite. And founder, lead singer and harpmaster Mark Wenner is still at the helm. 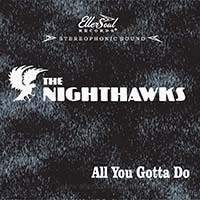 With some 30 recordings and local and international awards to their credit, The Nighthawks are still churning out new material while drawing on more than four decades’ worth of signature tunes for their legendary live shows. Check the schedule page for a date near you! 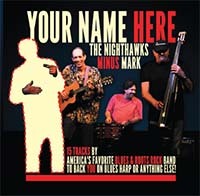 2017 Studio Release by the Hawks features 12 tracks by the stellar lineup of Paul Bell, Johnny Castle, Mark Stutso and Mark Wenner. 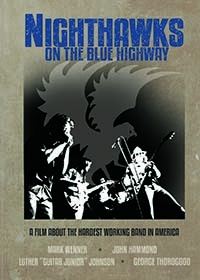 The first documentary about the hardest working band in America. The result of two years of production, countless days with the band and interviews with those who know the band best. Directed by Michael Streissguth. 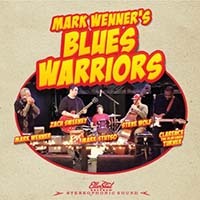 Mark put together an extremely talented group of musicians for this project, including Zach Sweeney, Steve Wolf, Clarence "The Bluesman" Turner, and Mark Stutso. 15 rhythm tracks with instructions on choice of harmonica keys. Most songs are for a diatonic C harmonica, some use an A.